Occasionally abrasiveMedia shares stories from our community partners. 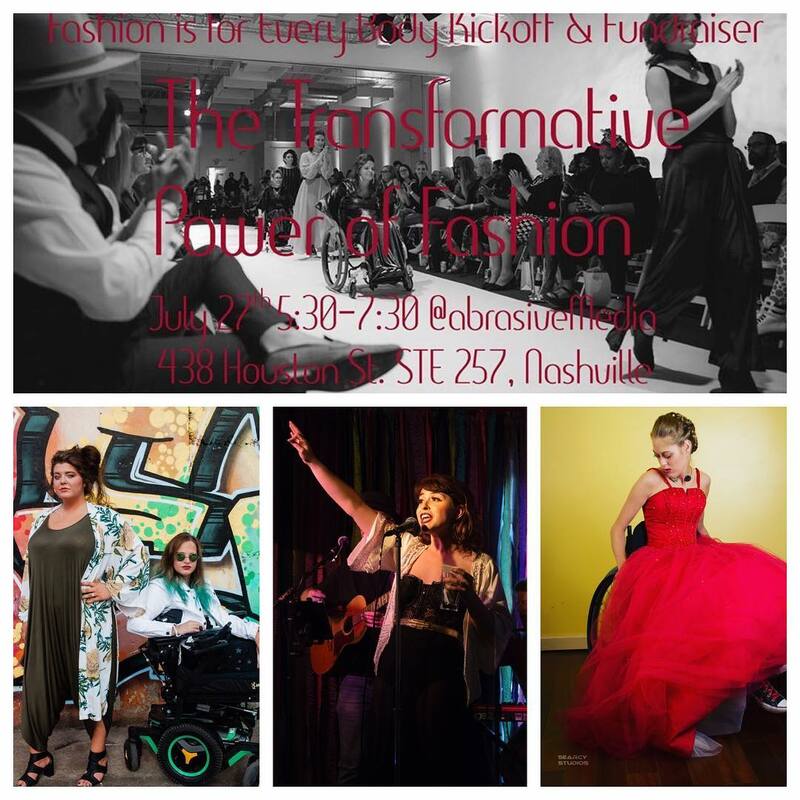 Kristen sat down with Alicia Searcy (Nashville's disabled style blogger extraordinaire) to discuss Alicia's story, what inspires her about fashion, and the event she's hosting this Friday. Scroll down to the bottom for more details on the event! Searcy, Nashville's disabled fashion and style blogger and author of Spashionista, and Krystle Ramos, owner of Pura Vida Vintage, wanted a runway that was more inclusive. They had been imagining what diverse representation would look like, and produced their first show in the Fall of 2016. On September 8th Searcy joins her partner, Empower Tennessee, in producing the third annual re-imagined fashion show, Boundless. As it is with most stories, the interesting bit is not at the end, but in the muddy middle. So, how did she arrive at this moment? To understand, we have to go back. Alicia didn’t start with an interest in fashion. Or rather, any interest she had was tainted by enormous pressure from her mother. Alicia’s mother was born in Cuba and her father in France. They immigrated to New York City in 1960 with five dollars on hand. The change was devastating to her mother, whose unhappiness was directed at Alicia. A model and a fashionista, her mother placed a high value on looking a certain way. Alicia put some distance between her mother and herself. She was living in Ft. Lauderdale, which she describes as, “gross.” Meeting her partner Clint in Florida was the prize. They just celebrated their twenty-eighth anniversary. Clint took a job in Nashville in 1995, and they’ve been here ever since. Join Fashion is for Every Body on Friday, July 27th as they kick off the countdown to the Boundless 2018 Inclusive Fashion Runway Show at abrasiveMedia. The event will feature fashion from previous shows and conversations with Fashion is for Every Body alumnae about their experiences. We’ll explore how the language of fashion has changed how they feel about themselves and how others see them. There will also be an announcement about our designers for September's Boundless 2018 and the recipient of the inaugural Kimmie Jones Adaptive Clothing Pattern Award. Guests will also receive an exclusive discount code for tickets to Boundless 2018 that can be applied for a limited time. Enjoy light bites including sweets from Dee Dees Cake Pop Shoppe, beverages and a musical performance by Lillie Syracuse. This event is free of charge, but donations are encouraged.